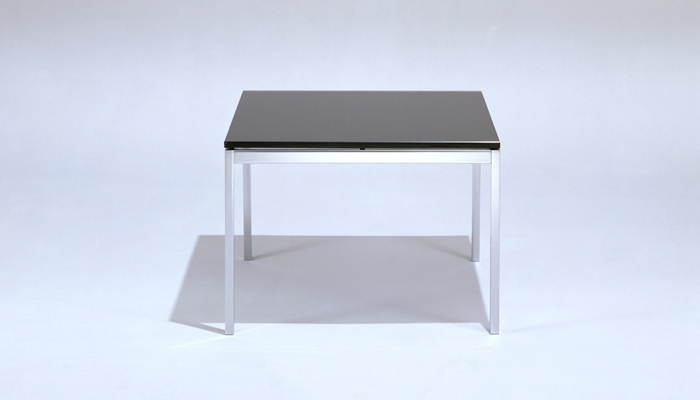 A pioneering figure of the American Modern movement, Florence Knoll paved the way for women in the field of design. With her ambition and entrepreneurial spirit, she led a successful manufacturing company in a time when few women did. In the exhibition She Persists: A Century of Women Artists in New York, First Lady Chirlane McCray and the Gracie Mansion Conservatory celebrate works by female creators with strong ties to New York City. 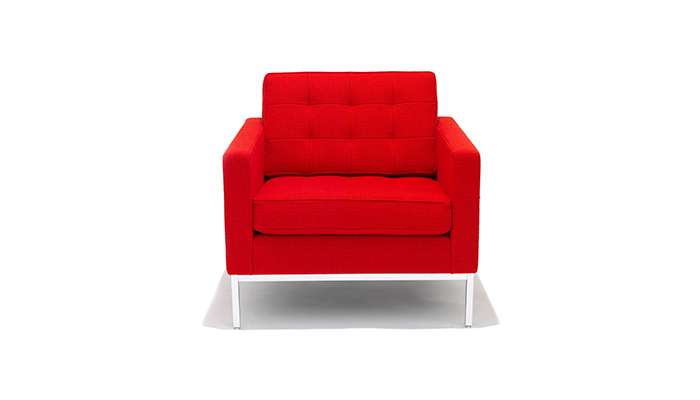 The installation includes a Florence Knoll Lounge Chair and honors the designer’s contributions to the rise of Modernism in America. She Persists: A Century of Women Artists in New York exhibits sixty works by forty-four artists in the public spaces of Gracie Mansion, home to New York City Mayors since 1942. The installation – which marks the centennial of women’s suffrage – displays and heralds the women of New York City for their works of art and object design. On view for the entire year, the public exhibition opens its doors on January 22nd. 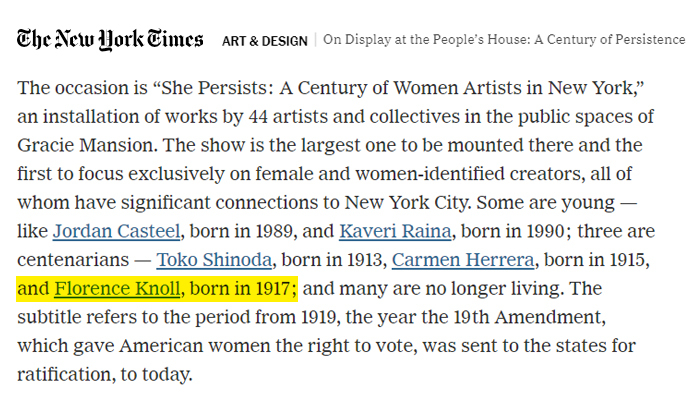 Jillian Steinhauer of The New York Times also featured the exhibition, citing Florence Knoll as one of the notable centenarians included alongside artists Toko Shinoda and Carmen Herrera.